I (and half a dozen of my friends) are really going to miss your daily trip reports. Congratulations! Well done! Thanks Ken! You and Debbie have been awesome. I appreciate your support. Well done! Congratulations! I started following your blog after friends of mine met you in Indian Head, SK. It was so interesting to read about your journey. I remember your friends we met there! Thanks for following us! WOOHOO!!! So proud of you! What an amazing adventure you’ve had! We are so greatful to have been able to follow along! 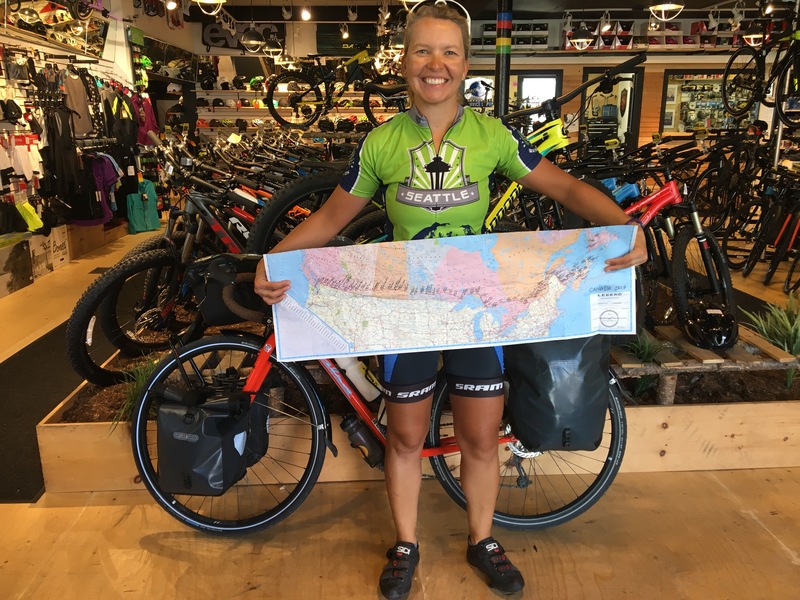 Thank you for sharing your journey with all of us! Congrats well done! It will feel good to get back home. Bringing lots of great stories and memories. Hats off to you. Congrats! And, wishing continued safe journeys! Congratulations! 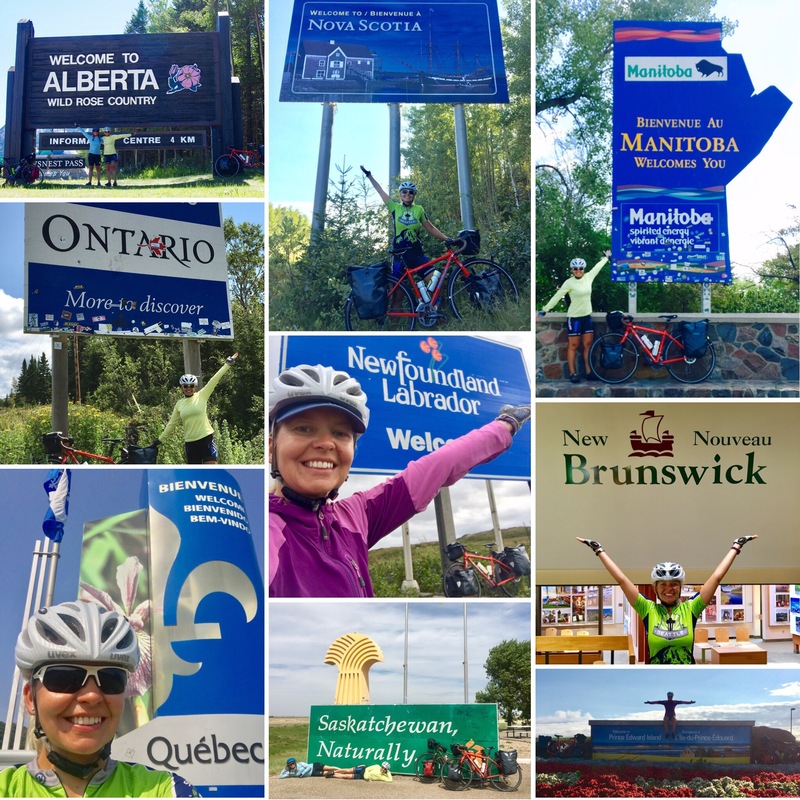 Friends sent me the link to your blog and I’ve been following your progress across Canada. Thanks for sharing your ride with so many of us. What an accomplishment! You should be proud. Congratulations Irena! You are one fantastic woman…what an accomplishment! I am so glad that I had the opportunity to meet and chat with you and Jessica in SK. Thank you so very much for sharing your journey…I too will miss your daily news. Best wishes to you and Glory! Wow! Incredible accomplishment! Can’t wait to hear all about it! What a challenge! You are a ride star!! Now you can take a victory lap on…a rental bike?? Have fun touring St. John’s. Let us know when you hold a homecoming celebration (and talk?). I met Jessica on Richter’s pass & she gave me your card. 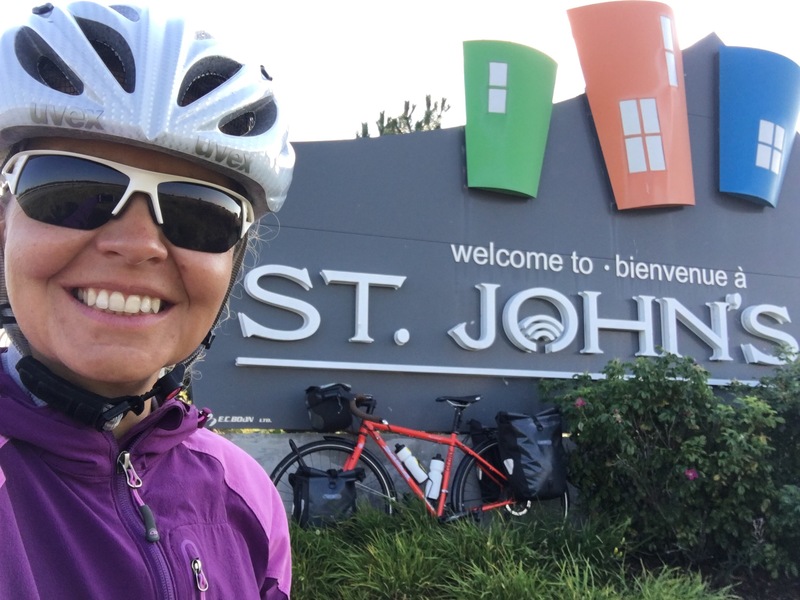 I thoroughly enjoyed going across Canada with you both & reading your blog & all your photos. You had a lot of really nice ones as you entered the province, but my favorite was your lobster dinner in PEI. You both did an awesome job & some of the distances you travelled with the packs were amazing. Carole, I remember meeting you too! Thanks for following along and supporting me that day with your good cheer! Congratulations on an amazing accomplishment. Congratulations to both of you, Irena and Jess! What an amazing adventure you both have had! And what an incredible achievement for both of you! Congratulations on this monumental accomplishment! Thank you for chronicling your incredible journey. Our daughters love having the entries read to them, and seeing the pictures.